Learning boards: Bic plastic foam and Embata Nah Skwell with rigid foam covering. Versatile ride: Nah Skwell, Bic and boards shaped on hand. 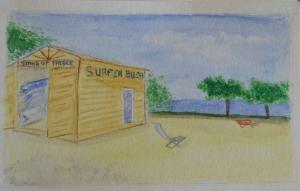 Specific boards for surf: Nahskwell. Specific boards for performance paddling on flat water: race boards shaped on hand. – For hourly rental: filing an ID. – For rent by the day or half day: filing of the board value. Stand up paddle boards adapted to your weight, your skills and different practices. Adjustable paddles, leash, vests, wetsuits. And explanations on practice area and how to paddle.